WANT TO KNOW WHAT TRIGGERS THE YES OR TRIPWIRES THE NO IN THE SALES PROCESS? START HERE! Why your prospects buy is exponentially more important than How you sell. Companies spend thousands of hours and millions of dollars annually teaching their people how to sell, instead of investing in answering the only question that ever matters to the bottom line: Why they buy? Cheri Tree discovered that answer when she decided to apply psychology to buyology. Now she s ready to share with readers the four basic personality types: B.A.N.K.TM Blueprint, Action, Nurturing, Knowledge. Most salespeople attempt to sell based on their own personality type precisely why 66 percent of customers are turned off by sales presentations. However, when you decipher your prospects B.A.N.K. codes, you will be far more likely to get the Yes! and close the sale. Why They Buy will teach you how to: Crack others personality codes in less than 90 seconds Connect quickly and on a deeper level with your prospects Communicate clearly and effectively in any situation Deliver memorable presentations that emphasize your core message Accelerate customer acquisition and increase retention Develop a highly trained sales force with a competitive advantage Expand your business and lead your teams to record success Maximize your influence and capitalize on your charisma Are you ready to increase your sales up to 300 percent? If so, this book will unlock the secrets, the science, and the system to supercharge your sales and build solid relationships, personally and professionally. 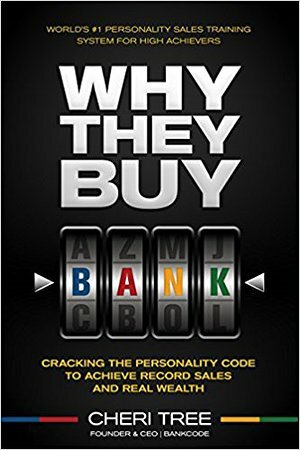 When you crack the personality code, you will achieve record sales and real wealth that you can take to the BANK!